UPDATE: I did another iteration of live-coding a Ruby gem at Flatiron School in January 2018. The code, a very similar but more complete and up-to-date checklist is here. 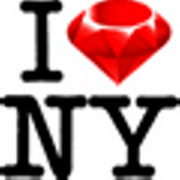 I live-coded a new gem called Ruby::Enum at NYC.rb on Tuesday. This library adds enum-like functionality to Ruby. Here’s my checklist for creating a new gem. Ruby gems are registered with Rubygems and managed in your projects using Bundler. Search for the new gem name on Rubygems to make sure it’s not taken. I organize all my code in source and since I often fork code from others to contribute, create a subfolder with the Github username, including mine. Add it as a remote. Documentation is written in Markdown. Create and commit a README.md. $ git commit -m "Added README." Push the README to Github. Writing objects: 100% (6/6), 963 bytes, done. Every project needs a license. I use the MIT license because it’s short and nobody has time to read licenses. Add a copyright notice to the README, don’t forget future contributors. Copyright (c) 2013, Daniel Doubrovkine and Contributors. All Rights Reserved. This project is licenced under the [MIT License](LICENSE.md). A Gemfile is something that comes with Bundler and declares gem dependencies. Create a Gemfile. For now it just says where to get other gems from. The generated Gemfile.lock should not be included, create a .gitignore. Tests need some setup, specifically to load the code in lib. Create spec/spec_helper.rb. Create a test in spec/ruby-enum/version.rb. Add .rspec to pretty-print test output. A ruby-enum.gemspec is a gem declaration. s.summary = "Enum-like Behavior for Ruby"
The declaration can be loaded in Gemfile, so that we can list dependencies in one place. When running under Bundler, the Gemfile will automatically be loaded, which will automatically load the gem specification. Bundler comes with a number of Rake tasks to release a gem. Add Rake to Gemfile. rake build    # Build ruby-enum-0.1.0.gem into the pkg directory. rake install  # Build and install ruby-enum-0.1.0.gem into system gems. ruby-enum 0.1.0 built to pkg/ruby-enum-0.1.0.gem. Add .travis.yml, register the project on travis-ci.org and add a badge. Include ruby-enum/enum. See enum.rb and enum_spec.rb for the implementation. Create a CHANGELOG to list current and future updates. * Initial public release - [@dblock](https://github.com/dblock). Add a contributing section to README. * Make your feature addition or bug fix with tests. * Send a pull request. Bonus points for topic branches. Bump the version, add a Next Release section to CHANGELOG.md. All source code for the above can be found at https://github.com/dblock/ruby-enum. Your First Ruby Gem was published on May 15, 2013 . See a typo?